A beach cover up, what an awesome idea, that is what I need to make. Your projects look lovely and that is a new-to-me podcast that I will have to checkout! Yay! 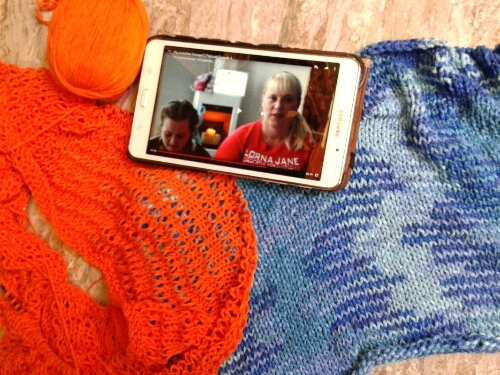 Happy to see that you are putting this orange yarn to use – it is so beautiful! And its feel…. Oh my! pretty knitting and I am so so very far behind on podcast listening….I need to catch up!!! There are so many podcasts out there worth listening….